How To Make Your Own Subliminal Recordings - Updated with Digital Recording and CD Burning Techniques! Learn how you can record subliminal suggestions that are irresistible to the subconscious mind of the listener. "I thought making subliminals was going to be complex, but after reading the book and listening to the tapes, it all became crystal clear." Using the latest edition of this easy-to-follow system, designed by Dr. Dän Lee Dimke, the creator of the of MINDWRITER™ Subliminal Series, you can create your own, personalized, subliminal pictographs on cassette tape, CD and many other types of digital media. Once prepared, you can listen to them anywhere, just below the threshold of audible sound- to quietly change your thoughts, habits, or abilities, in precisely the way you desire. Striking results can occur automatically, sometimes within a matter of hours, while you're working, driving, or even concentrating on something else. In Part 1 of this presentation, you'll discover the latest scientific theories that explain how subliminals work and why they work so effectively. You'll learn which suggestions are most effective, and why. Then, in the next three Parts, you'll learn how to actually make and use subliminal recordings yourself. The step-by-step procedure shows you how to create powerful thought commands, using a cassette recorder or personal computer. Using these techniques you can create personalized subliminal recordings that will penetrate your brain like a mental laser, transforming your desires into reality. Create your own subliminals to quietly help you stop smoking, lose weight, erase undesirable habits, or create new talents and abilities at will. Everything you'll need to know is included. Subliminal Pictography is presented in four lively audio presentations along with an accompanying, 32-page illustrated digital manual. Learning to create your own unique subliminals is a skill you will use and benefit from for a lifetime. This presentation is also highly recommended for first-time Mind Writer Subliminal users to help you understand how to get the greatest benefit from your prerecorded subliminal tapes. Subliminal Pictography continues to be Future World's best-selling audio program. Discover what all the excitement is about. Part 1: THE SUBLIMINAL PHENOMENON - Dual Hemispherics and Suggestion - The "Slow-Stage Dream" Discovery and its breakthrough effect on subliminal suggestion theory. How experts use the research to achieve spectacular results. Part 2: CREATING YOUR OWN SUBLIMINALS The Secrets of Super Pictographs - Single and Multiple Recorder Techniques for actual production of masked or maskless subliminal recordings on cassettes, CD, CD-ROM, computer .wav files, floppy disks, zip disks, Internet files for use with web sites, or as e-mail attachments. Part 3: DIGITAL RECORDING and CD BURNING Techniques - NEW! Step-by-step instructions that can help you complete your first subliminal recording within minutes, using software you already own on your personal computer! Unlock the potential for personalized messages that say anything you wish on an unlimited number of topics. Record once and play continuously, while you work, travel or surf the Net! Booklet: A 32-page SUBLIMINAL PICTOGRAPHY illustrated Manual is also included. Exclusive Bonus for Subliminal Pictography Owners: Resource Center Web-site with links to on-line resources, new tips and techniques, and Frequently Asked Questions ("FAQ") and a chance to add your own. Plus we share letters written by other Subliminal Pictography owners from around the world! Subliminal Pictography is a great learning tool that will allow you to create your own unique subliminals- a skill you will use and benefit from for a lifetime. This presentation is also highly recommended for first-time MIND WRITER™ users in order to understand how to get the greatest benefit from your prerecorded subliminal tapes. Subliminal Pictography continues to be Future World's number 1 selling product, year after year! It has been particularly thrilling to hear about owners who are multi-lingual using Subliminal Pictography to create subliminal messages in their native languages - whether Czech, Chinese, or Swahili! Discover what the excitement is all about! My name is C. Okumura >and I live in Honolulu, Hawaii. 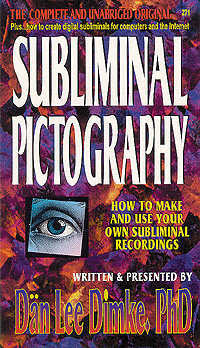 I liked the fact that [Subliminal Pictography] was very detailed about how subliminals work, and why they work. I liked the fact that it allowed you to customize and make your own subliminals. Best of all, it was the only product that I could find on the Internet that allowed you to do so without paying ridiculous prices. [Subliminal Pictography] did a good job of putting me in the right mindset, and helped me to take action when the motivation wasn't necessarily there. It also did so in a fairly minimal amount of time, and with less than regular usage. You definitely need to get this product and put it to use if you want to start seeing some very real changes in your life. I would say that [Dr. Dimke’s speech] is clear and definitely not boring. [Subliminal Pictography] is just as effective, if not more so, than other similar products on the market that I've seen and used. But, it doesn't cost an arm and a leg like many other products do. And to top if off, the service provided [by Future World] was prompt and there is a very wide range of products available on the web site. ... an excellent product! More Subliminal Pictography Testimonials"The information and lessons presented in [Subliminal Pictography] are essential reading and listening in today's world of message saturation in all forms of media around us (TV, radio, posters, billboards, newspaper, magazines). I have been ignorant of the way messages are in everyday life all around us, but now I'm in control of what I'm telling myself. This program was highly recommended and it was effective after reading and listening to the program a couple of times and absorbing the ideas. I have progressed in my own direction and am now using original messaging at different times of the day. The results you will receive from the program are very real, tangible, and once established- self-perpetual. But don't fixate yourself with only one desired outcome, the real-life benefits are bigger and more diverse than you can imagine! My name is Heather Antedomenico and I live in Danbury Connecticut. I ordered Subliminal Pictography out of curiosity. But, after listening to the cassettes, I have to say that I am impressed. I like the simplicity of the presentation; it's easy enough for anyone to understand. The information Dr. Dan Lee Dimke presents, not only teaches one how to make and use [subliminals], but also includes historical references, descriptions, and examples of real people who employ [subliminals] as an extension of their daily lives. Dr. Dimke also offers insightful tips on how to use your newly created subliminal cassettes. His speaking style is easy to listen to and he proves to be fascinating and knowledgeable.One does well to deal with Future World. Their web site is intriguing, their service is excellent, safe, fast, and their emails are always helpful and friendly. I was intrigued by the prospect of learning how to create my own subliminals, but I was a bit skeptical that my own tapes would be effective. However, once I listened to the program, I was pleasantly surprised at how easy and effective [making my own cassettes] can be. Dr. Dan Lee Dimke is very informative and encouraging. I admire his achievements and appreciate his encouragement and belief that anyone can do this. Using subliminals is a natural and easy way for people to quickly and efficiently learn new skills. I now have the ability to create my own tapes for myself for whatever I want to achieve. Also, I had a very good experience when I ordered from Future World Corporation. I place my order online, received an email confirmation that it had been shipped, and my package arrived promptly. It was a smooth, easy transaction. My name is P. Tuesday from Baudette, Minnesota. 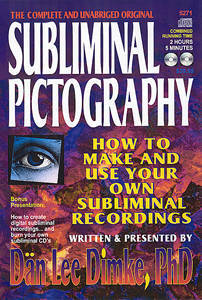 I recently bought Subliminal Pictography because I have been so interested in subliminals and thought this would be a great way to help me in various aspects of my life. Once I received my Subliminal Pictography kit, I read the book right away. What really made my mind click on creating subliminals was the Elevated Intelligence tape that came with the kit; it gave me the proper format to follow, by example. It was so simple. I thought making subliminals was going to be incredibly complex, but after reading the book and listening to the tapes, it all became crystal clear. And, author, Dr. Dan Lee Dimke, PhD is easy to understand and has a soothing, caring voice and he is fun to listen to. I have been using my subliminals for personal use. I use my sound recorder on my computer to record my voice. I always listen to my .wav files on my RealPlayer, since it has repeating options. I even speed up my voice so I can fit more affirmations into my mind in less time. I went and purchased a patch cord so I can now transfer my recorded .wav files onto cassette. I enjoy listening to them during my time on the computer. I also listen to them when I am sleeping and I am absolutely positive that they work. I am simply amazed. I am whipping out subliminals for everything I can think of. I made some to improve my weight problem, acting, memory, psychic abilities, and some others like forgiveness- which is a major obstacle in my life. I made a weight training file and use it every night. As a result, I am now weight lifting on a regular basis and loosing weight and feeling great! I never had the drive to weight lift for more than a week, but now with subliminals, I am working out, gaining nice muscles and loosing fat! I am totally convinced that this program works. People are even noticing my appearance, my attitude and asking about subliminals. I tell them I taught myself how to effectively understand and use my mind and started making subliminal tapes, even promoting Subliminal Pictography. I enjoyed the service from Future World. The staff always emailed me right away when I had questions. They are professional and happy, caring people. Even after I bought the system, they still helped me out with anything I asked for. I feel I made some good friends. I am a believer! Subliminal Pictography has made me a better person. Thanks, Future World! My name is Terry Coker and I live in Windsor, Ontario, Canada. I was intrigued with subliminals that were not masked, so I ordered Subliminal Pictography. I really liked Dr. Dan Lee Dimke's expert description of how the mind processes stimulus and how many positive uses there are for subliminals. The thought of making my own personalized subliminals really appealed to me. I have used other subliminal tape programs and have never had complete confidence in the content of the scripts. But, with Subliminal Pictography I know exactly what is being offered to my subconscious mind. And, thanks to Dr. Dimke's teaching, I also know the precise way to construct an effective suggestion. Dr. Dimke made listening to the tapes fun and I always enjoy learning when it's fun. I listen to the tapes everyday in the car during my commute to and from work. It's like having a "University on Wheels". My name is Gisli F. and I live in Iceland. I like the instructions and information offered in Subliminal Pictography. I have learned a lot and I am now able to make my own subliminals for any occasion. I strongly recommend this product for every one that wants to know about subliminal recordings. Hi. My name is Randy Holton and I live in Alma, Georgia. I ordered Subliminal Pictography because the packaging caught my eye and I was interested in learning how to make my own subliminal recordings. I enjoyed this cassette program because there was minimal reading involved. With other programs, you almost have to be a college graduate to understand them. But, with Subliminal Pictography, Dr. Dimke kept the information clear and down to earth. I really enjoy listening to the subliminals I created on my own. My name is Debasish Sahoo and I live in Los Angeles, CA. Although I had heard of this [subliminal] phenomenon before, I never had the experience of going through the process. I really liked the voice and speaking style of Dan Lee Dimke. And, I have had very satisfying results. I have also learned quite a number of “tricks” for doing my subliminal programming. For example, I did not realize that the listener has to be relaxed while programming. Otherwise your left-brain will be active and will NEVER allow the subliminals to be absorbed by the right brain. And, the service [provided by Future World] was pretty good as I got [my order] sooner than I expected. My name is Al Sweet and I live in British Columbia, Canada. Imagine for a moment that you could just push a button to program your mind to be anything you wanted to be. That is precisely why I purchased this amazing cassette program. About 2 years ago I began using the Mind Writer™ subliminal cassettes by Dan Lee Dimke PhD. I was ecstatic with the results. 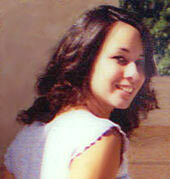 I was able to quit smoking, improve my writing skills and rivet my concentration to any subject for hours at a time. I became fascinated with results and wanted to learn more. Naturally I turned to Dr. Dimke, who is widely recognized as an authority on subliminal persuasion. I soon learned the secret of why these tapes work so effectively: repetition is the mother of skill and the sub audible messages bypass the limitations of the conscious mind. This doesn't mean that you need to stay up all night learning new skills. In fact just the opposite is true. Picture this… you are enjoying a peaceful nights sleep and beside your bed your cassette recorder is quietly whispering powerful messages into your subconscious mind. These messages can help you to read faster, become a powerful speaker, or put an end to procrastination. In fact, just about any skill you wish to acquire or any bad habit you wish to erase, can be accomplished with the use of Subliminal Pictography. Now, this is where it gets really exciting, you get to pick the exact message that you wish to send to your subconscious mind. Subliminal Pictography allows you to produce custom made subliminal messages to help you achieve any goal that you set for yourself. Super achievers in any field usually start by acquiring specialized skills. To achieve your goals you may wish to boost your self-esteem, develop super self-confidence or create a magnetic personality.